It’s that time of year again where I’m starting to prepare for my summer vacation. Usually I swap vacation spots, but this year, I've decided to hit the one place that’s closest to my heart- Provincetown, MA. In an article found here, it states its unique history. 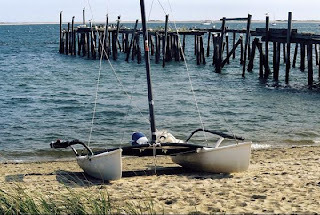 The Town of Provincetown was incorporated in 1727, but its history begins much earlier as its well protected harbor offered excellent shelter from storms. Although the Vikings probably landed here to rest and repair their boats, the first recorded visit was by the European explorer Gosnold as early as 1602. Provincetown harbor was also the site of the first landing of the Mayflower in 1620, where the Mayflower Compact was signed. However, the first permanent settlement didn't take place until 1700, with fishing being the primary industry. After the Revolution, the town boomed and its population rose 276.6% between 1790 and 1830. By the middle of the 19th century, Provincetown had developed as the prime maritime, fishing and commercial center of the Cape. The Civil War, which destroyed so many New England businesses, only served to open more markets for Provincetown's fish. Portuguese sailors, picked up by American ships in the Azores and Cape Verde Islands to fill out their crews, came to Provincetown to live. Additional Portuguese immigrants moved to town by the 19th century to work on the whaling boats and coastal fishing vessels bringing their families and traditions. As a result, a strong Portuguese community within Provincetown began to flourish. In 1875, there were 25 coastal and 36 ocean vessels operating from town, more than any community in the state including Boston. Provincetown was quite the bustling seaport town with all of the ancillary maritime businesses that sprang up, such as ship chandlers, sail makers, caulkers, riggers and blacksmiths. The picturesque setting and salt air also began attracting artists and writers by the end of the 19th century. This contingent grew and poets, novelists, journalists, socialists, radicals and dilettantes formed an artistic environment that spawned the first American school of art and birth of modern American theater. When the fishing industry faltered and the Portland Gale of 1898 swept away half of the town's wharves, Provincetown turned to another fledging industry to fill the economic gap. The resort population that visited Provincetown every summer, provided jobs to take the place of those lost as more individuals and families discovered the magic of Provincetown. In the 1920's the artistic and literary productions of the town were of international repute and the abandoned sites of maritime businesses became the new homes of the seasonal visitor as sail lofts, warehouses and barns became studios, galleries and shops. Today, the wealth of preserved historic buildings combines with the lure of the sea to support a huge tourist and summer home industry. While promoting my book there one year, we heard many things about the “haunting” of The Historic Inn at Crown Pointe; a bed and breakfast we stay in every year. I’m pretty sensitive to supernatural activities, and I remembered one room in particular had a strange sense that overwhelmed me once. It wasn’t a haunting from the typical ghost though. I soon found out with euphoric pangs going throughout my body, that it was the Holy Spirit. It was the best experience in my entire life, and each year, I request the same room. To me, and in my experience, ever since the Holy Spirit swept through me like a tornado, I’ve never been the same since. I started writing. I never wrote before. I mostly played guitar, wrote songs, worked on art and photography, but never wrote. It wasn’t in me. After publishing a book and promoting them to local bookstores, they were disappointed that another publishing company had me, and that I was listed on Amazon. They said that it was competition for them. How can Amazon be any competition to a local bookstore of a magnificent town? I realize that people can easily access the internet and get what they want at their convenience, but to pick up a book at a store and flip through the pages by hand is something I’d rather do. Even with music, I’d rather go to the music store to buy the CD, as opposed to purchasing the MP3’s for my iPod. The CD sound quality is much better in my opinion. This little town in MA is my heart. I’ve thought about living there many times. I always had a side job waiting for me as a bartender in a few of the establishments, as well as writing. This town is not known for ‘bit corporate jobs’. It’s known for making money the old fashioned way- by working in restaurants, bars, shops, and making money as an artist. If I were to live there, I’d do all of the above. The only downside to living here is the winter season. Nearly everything shuts down. 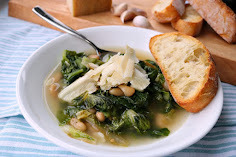 Only a few local bars and restaurants are open for their civilians. It’s quiet, desolate and the streets are covered with snow, leaving some people buried in the plow’s leftover mess. During the summer, you make a lot of money working in the restaurants, since it’s a booming with tons of tourists flocking in and out of there. They told me to store my nuts, so that I would survive suring the winter months. It’s hibernation time. One of my favorite things to do while staying there, is to see a drag queen show. I remember one particular evening, where I was just about ready to call it quits because I was so tired from traveling. I wanted to stay up in my suite and sleep. Instead, I was persuaded to go see a show somewhere. 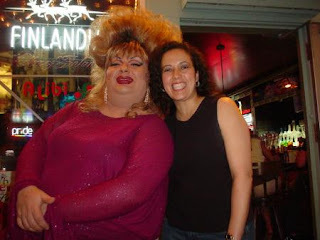 We had no destination, other than to walk down Commercial Street and get shoved into a bar by some big haired drag queen in need of an audience. I grudgingly went. As we walked down the street, a huge “lady” (drag queen) put her arm around me and asked what we were doing for the evening. She was standing near a local pub. It didn’t look like your typical cabaret bar, but she was going to perform there anyway. This was our first experience with Pearlene. The show was a bit crass, but hysterical. He (or she) would pick on the straight men in the audience, questioning them about their sexuality. He asked my girlfriend if she was a “vagatarian”, and she said, “Well, almost.” Pearlene looked at her, then looked at me and said, “Oh honey, I’m soooooo sorry!” The picture below was after the show. As we were walking back to our bed and breakfast, we noticed this rather large “woman” on a very small scooter whizzing through Commercial Street with big glasses and a red and white polka dot fuzzy jacket. My girlfriend screams, “Look! It’s a clown!” (Enough where the drag queen could hear her clearly.) That’s when we met Miss. Richfield. She stopped to talk to us and asked how long we’ve been together. She said, “Well, I thought you two were in the wrong place, being that you don’t look like you’re gay at all!” She was very pleasant and yes, claimed Jesus as her Savior! She said she was a ‘church gal’. In this video, you’ll see Pearlene and Miss Richfield chatting it up. This town isn’t only a vacation spot, it’s also my home. We have friends that live down there, the establishments that know us well, and the beautiful cape is the one place where I can think clearly and be myself, without judgmental people staring if I were to hold my girlfriend’s hand in public. It enables me to let my creative side flourish, being among other writers and artists. I’m working on my second book this year, but I wouldn’t call it work, I’d call it my time to reevaluate my life and spread the word of God to others who need to hear it. If you’re ever in the area, pick up one of my books at Now Voyager Bookstore located on 357 Commercial St., Provincetown, MA 02657. The town welcomes everyone, straight, gay, lesbian, bi, transgenders, white, black, etc. No one’s excluded. It’s a little slice of heaven located on the edge of the east coast.